After obtaining suitable ‘A’ levels, Sean worked in the Estates Department of Liverpool Victoria Insurance which had a vast property portfolio. He joined the company in 1979 until 1985 when he qualified as a Chartered Building Surveyor. Sean did not take the Degree Course but took the RICS Direct Entry Exams. During his time at Liverpool Victoria Insurance Sean obtained a strong working knowledge of maintenance and repair of all types of Residential and Commercial buildings, managing small building projects and obtained useful draughtsmanship skills. From 1985 until 1987 Sean worked for a local Quantity and Building Surveying company who specialised in professional work associated with the public sector. He obtained varied experience in running medium sized construction, maintenance and refurbishment projects in schools and the Health Service including organising mass stock surveys of Council houses in various parts of the country. In 1987 Sean joined Clifford Dann & Partners based in Lewes in Sussex. At the time Clifford Dann was the President of the RICS. Sean re-established their Building Surveying department working on a number of projects including repair works to the University of Sussex, construction of a new dairy unit, reconstruction of several houses following fire damage and stock survey of a number of public buildings. 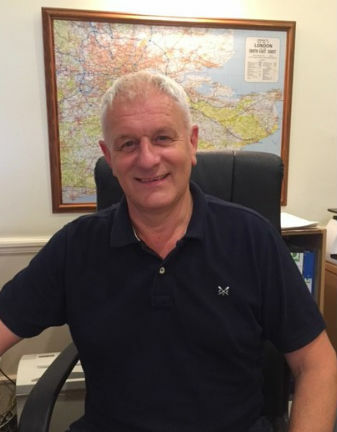 In 1989 Sean started up his own private practice and worked independently until joining Brian Gale Surveyors in 2008 bringing his experience, clients and contacts, helping to expand the business. Sean has also more recently specialised in the survey and valuation of Residential Property and undertakes traditional building surveying professional services such as dilapidations and Party Wall Awards.